This elegant and sturdy backpack is made of strong durable nylon, is fully padded and was designed to protect even high-quality products. So that the bag does not easily get dirty, there are small adjustable setting feet on the underside. There is a single compartment with a zipper and metal logo on the front. 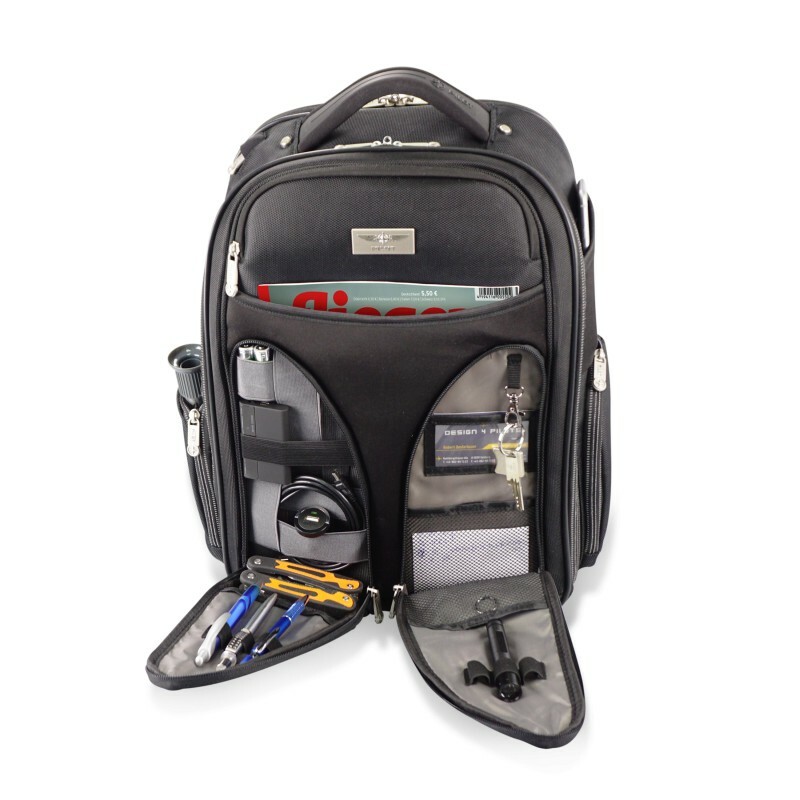 Underneath, there is a large quick-access compartment made of neoprene and two organiser compartments on the sides for storing pens, batteries, keys, cables, etc. Each side has a zipped compartment for e.g. fuel probes, radio devices, drinking bottles, etc. and above each is a small compartment made of neoprene. On the left side, there is a quick-access compartment with zipper for laptop and tablet. 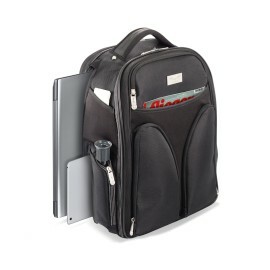 The back is pleasantly padded and equipped with a zippered compartment, so that when carrying on the back no unwanted access is possible and additionally there also is a trolley location. 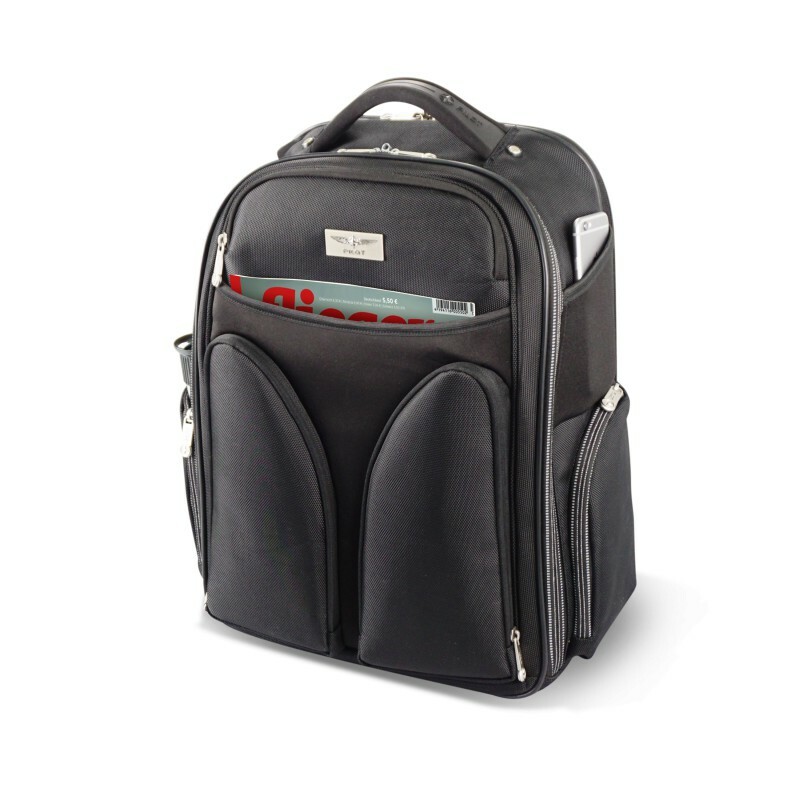 The lockable main compartment can be variably divided and therefore offers a very high level of flexibility. Inside there are 4 more mesh compartments where you can immediately find what you are looking for. 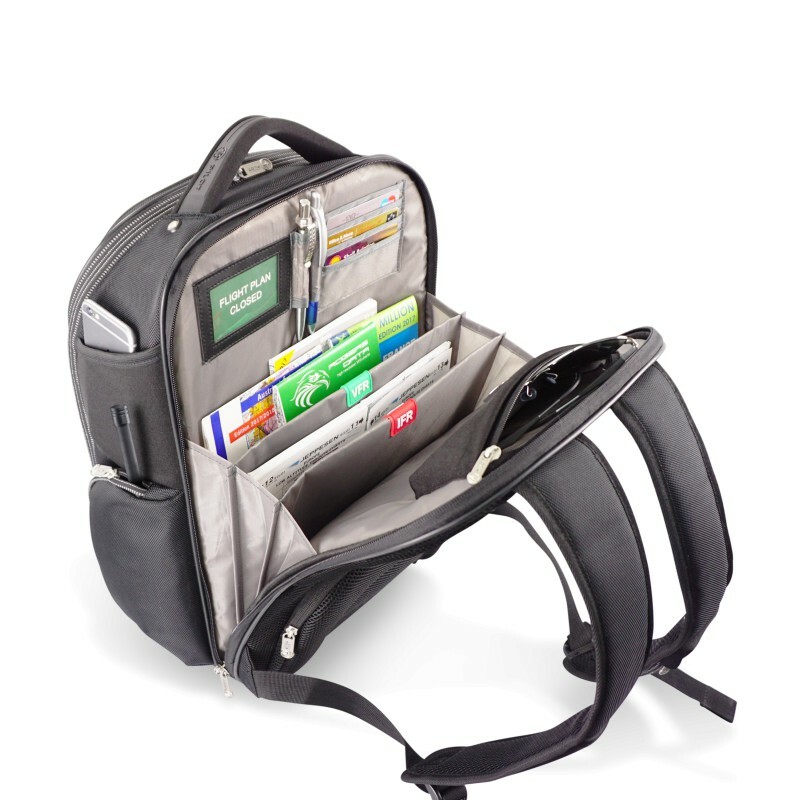 There is a lockable organiser compartment for papers on the back. 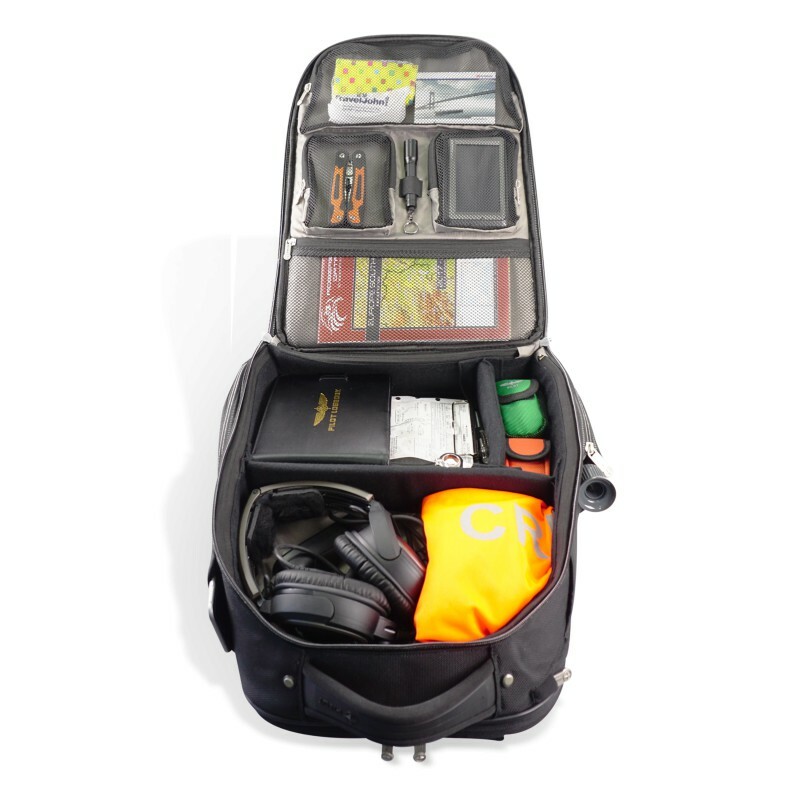 Two compartments are labelled with VFR and IFR, a neoprene compartment for glasses, 2 pen holders, 4 storage compartments for credit cards, fuel cards, etc. and a turn around card for the “flight schedule status”. 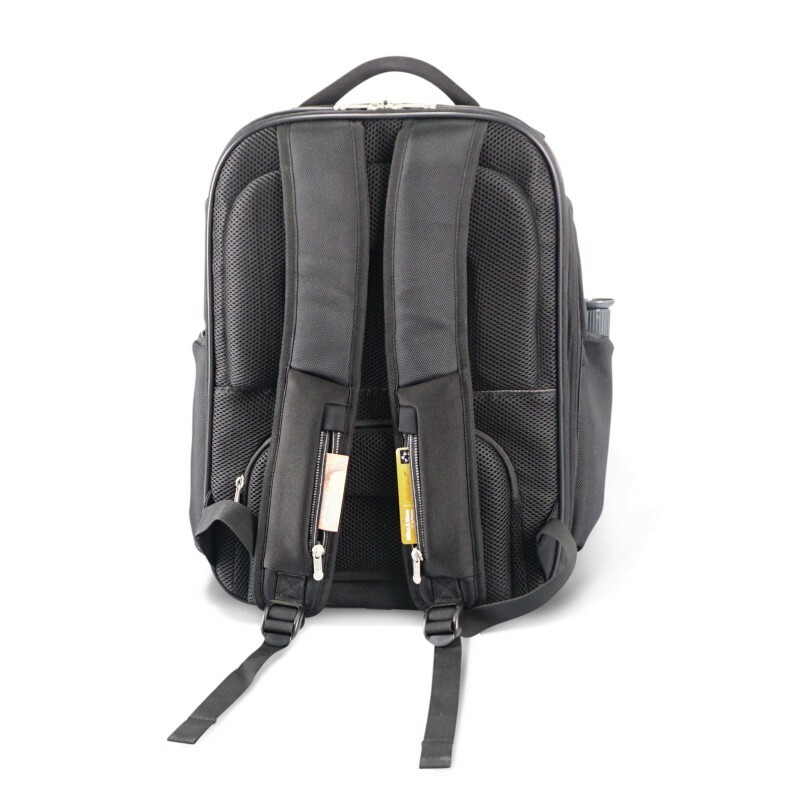 On each side of the shoulder strap, there is a neoprene compartment for storing various small items such as, for example, money, cards, etc. The main compartment, the two side zippered compartments and the two small neoprene compartments on the shoulder straps are equipped with a reflective zipper, so that you can be seen more easily in the dark.